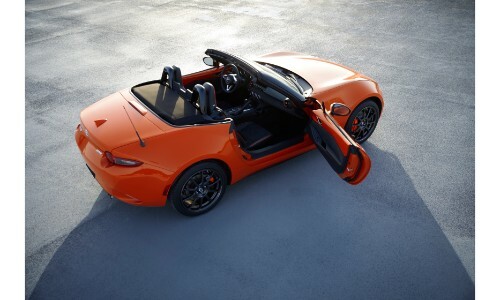 At the 2019 Chicago Auto Show, the Mazda brand’s contribution to the event was revealed as the 2019 Mazda MX-5 Miata 30th Anniversary Edition. Celebrating 30 years of the iconic roadster, this rare edition adds an exclusive body paint color and plenty of performance and luxury features, inside and out. So, we’ll be taking today to see what’s all included with the purchase of the highly-coveted 2019 Mazda MX-5 Miata 30th Anniversary Edition! With no information highlighting its specifications, it seems that the 2019 Mazda MX-5 Miata 30th Anniversary Edition will be equipped with the same engine as the standard 2019 Mazda MX-5 Miata. However, it does have many additional performance and luxury features, which brings us to our next section. The 2019 Mazda MX-5 Miata 30th Anniversary Edition has no additional trim levels and therefore has one flat price. Its starting MSRP is set at $34,995. Can I Get the Mazda MX-5 Miata 30th Anniversary Edition? After its reveal at the 2019 Chicago Auto Show, the 30th Anniversary Edition of the Mazda MX-5 Miata was available to pre-order. However, this pre-order was limited to 500 and every one of those slots has been filled. In less than a day after its unveiling, the 2019 Mazda MX-5 Miata 30th Anniversary Edition reached pre-order capacity. Set to be shipped and delivered in the summer of 2019, 60% of these orders were for the soft top Mazda MX-5 Miata whereas the other 40% were of the hardtop Mazda MX-5 Miata RF variation. For more information on the 2019 Mazda MX-5 Miata 30th Anniversary Edition and other current or upcoming Mazda models, please contact us. The Marketplace Mazda staff can be reached online, by phone, or in person at our dealership located in Rochester, New York. 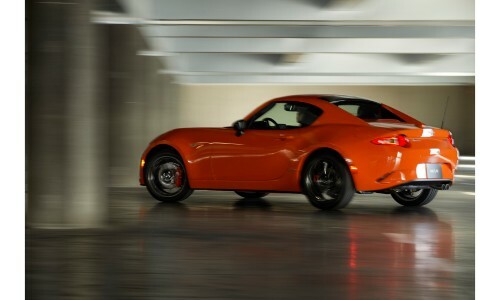 This entry was posted on Monday, February 11th, 2019 at 4:51 pm	and is filed under Mazda MX-5 Miata, New Vehicles. You can follow any responses to this entry through the RSS 2.0 feed. You can skip to the end and leave a response. Pinging is currently not allowed.